The girls varsity softball team are ready to take on Evanston this Thursday for one of their last games of the season. With their season coming to a close, the wolves are hoping to take home a win. Their current record overall is 6-18, while in conference, their record is 2-7. Being a conference game, the wolves are hoping to improve their record with a win. 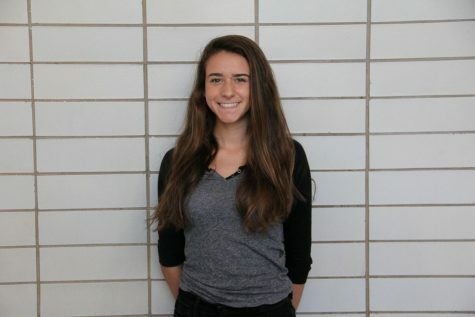 Sophomore Grace Bencivenga is excited to take on Evanston because the team knows what to expect from Evanston having played them earlier in the season. “In practice we have been working on a lot faster pitching because the Evanston pitchers are some of the fastest pitchers we have seen so far. I think we will do better than the last time we played Evanston. Last time we played them we lost 5-4 which was a really close game. If we come out strong from the start I think we can beat them,” Bencivenga said. Four year varsity athlete, Hope Cherian describes the feeling of going into her last conference game in her high school career as bittersweet. “They are supposed to have a good freshman pitcher, but we saw them for a few innings the last time we played them and we gave it a good run. I am looking forward to my last conference game ever. It will be a bittersweet one,” Cherian said. Junior Hannah Johnson believes that the girls will put up a good fight against Evanston if they come out strong from the start. “I think we are ready especially because we have had games almost every day this week. It will help us overall because it will give us more in game situations to practice and learn from rather than practices,” Johnson said. Make sure to come out and support the girls softball team this Thursday away at Evanston at 4:45 p.m. as they head into their final conference game of the season.